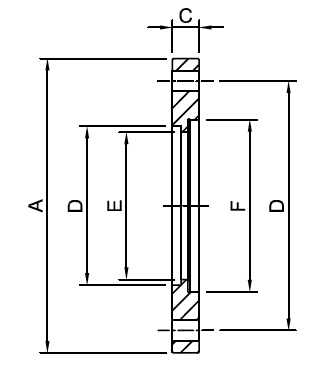 ISO Fixed Bolted Bored Flanges are used for welding onto tube to produce ports and connectors when manufacturing fabrications. Manufactured from: 304 Stainless Steel. ISO Fixed Bolted Bored Flanges are supplied in a plastic bag. ISO Fixed Bolted Bored Flanges are manufactured to the ISO Standard and are compatible with other supplier’s product.